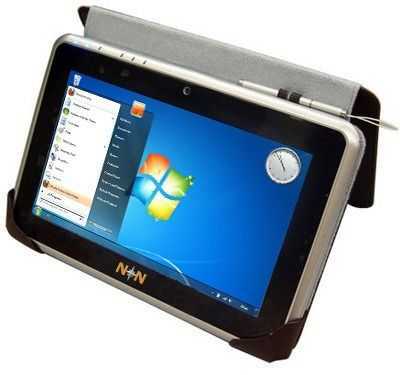 Nav 9 Multitouch Tablet. Pricing and Full Specifications Updated. When the news about the Nav 9 (then the 8192NN) first hit last month there was a lot of negative feedback about a $1200 asking price. We held back from reporting the story, instead choosing to contact the guys at Netbook Navigator to see what was going on. Since then we’ve had a good back-and-forth about specifications, pricing and target markets and as a result of all the feedback they’ve had, Netbook Navigator have re-positioned their product with a much lower entry point. You still get the multi-touch (resistive) screen, Windows Home Premium and 16GB SSD (which is going to be tight for Win 7) but the entry level pricing is a much more interesting $799. 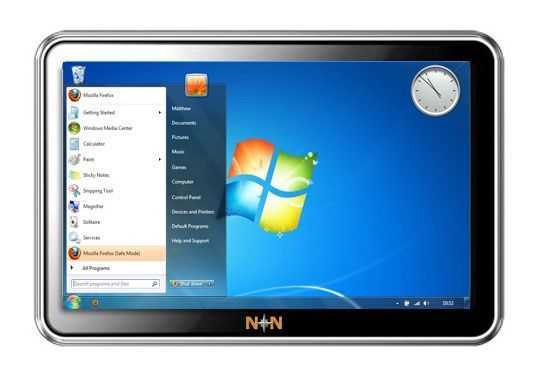 Details, specs, gallery, links on the Netbook Navigator Nav 9 in our database. Clearly there are many that will be comparing this to a $499 iPad (funny that the Apple product is lowering the pricing bar!) but remember that this is a productivity-focused tablet with support for everything you’re used to on your desktop. Yes, your USB printer will work, Skype, Bluetooth and USB keyboards and you’ll get full Adobe Flash support for YouTube support up to HQ mode. You’ll pay for all this multitasking flexibility with a very poor 2.5hr battery life but there’s a factory option ($50) for a large capacity (x1.5) battery. 3G and large SSD options also exist. Personally, I’m not a large format tablet fan and would not look forward to multi-touching this 2lb device while holding it in one hand but, as with everything, there’s always a customer out there and if the build quality is good, this lowers the entry point for sub 1KG multi-touch tablets nicely. Battery life needs to be improved to 4hrs minimum on the next round of these devices though. Viliv S10 at CES. Coming in Feb.
With options for 2.0Ghz Intel Atom CPU, multi-touch, SSD and 3G, a 1366×768 screen, 10 hours of battery life, 1.2KG in weight and a very good looking and well-built form factor, it’s no wonder that the Viliv S10 beat the Lenovo S10-t3 and the ASUS T101H to become Laptopmag’s best of CES netbook. The question is though, how much will the Viliv S10 cost in fully stacked form? The S10 is a device I’m watching carefully though and if it turns out to be significantly faster and more usable than the Gigabyte Touchnote i’m using right now, it might be my next laptop. Viliv tell me that it should launch very soon in South Korea with a follow-up launch in the US in Feb. Full pricing details are still unknown. Here’s a video I made at CES that demonstrates the multi-touch capabilities. I’m still not convinced that multi-touch screen is better than multi-touch mouse pad but i’ll have to test it out in tablet mode when we get one for testing here in the next few weeks. 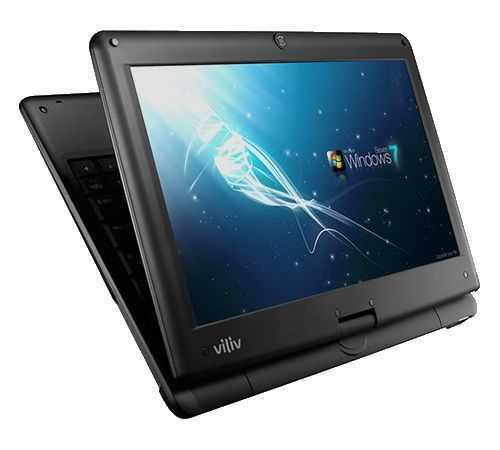 Viliv S10 Specifications and links in the product database. 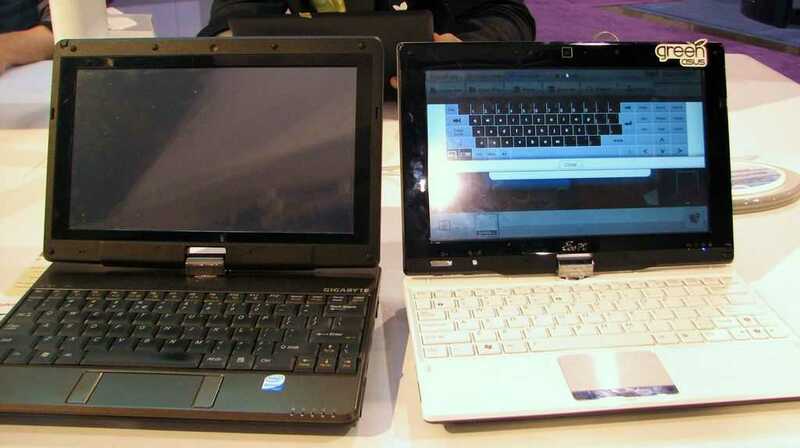 The Eee PC T91 is one of the few netbooks we really track closely now at UMPCPortal. Most others have drifted off into the forest of 10 inch. 1.5KG ‘high-end’ netbook land so it’s nice to see some news on it. This time it’s about the multitouch touchscreen version. With Win 7, 32GB of SSD (no word on the speed of that yet) and XP Home Premium (I assume that the touchscreen drivers will be tablet-enabled) you’re getting quite the deal at a pre-order price of $549. I’m a big fan of touchscreen laptops and have really got used to flying around the UI of the Gigabyte Touchnote with a two-handed multi-touch-mousepad and screen approach but I still wonder how much extra the multi-touch would bring me. I guess it depends on the type of gestures that are included. There’s no word on availability yet. 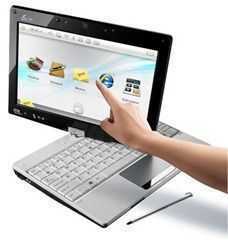 Specifications, images, videos, links for the ASUS T91 available in the product database. Windows 7 multitouch. More hardware. More software. There’s a lot in Windows 7, and our goal is to produce fantastic PCs with our hardware partners. Windows 7 is not the optimised platform we are looking for in handheld land. I guess there are plenty of other options to look forward too though. I hear that the Moblin-based Ubuntu Mobile distribution for Atom and Stealey hardware (not Ubuntu Remix for netbooks – that’s something else that’s quite interesting.) is just about to move into Release Candidate status so I’m far more interested in that right now.